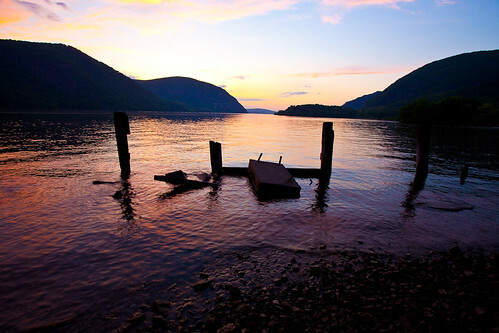 The Hudson Valley is one of America's greatest weekend getaway spots. 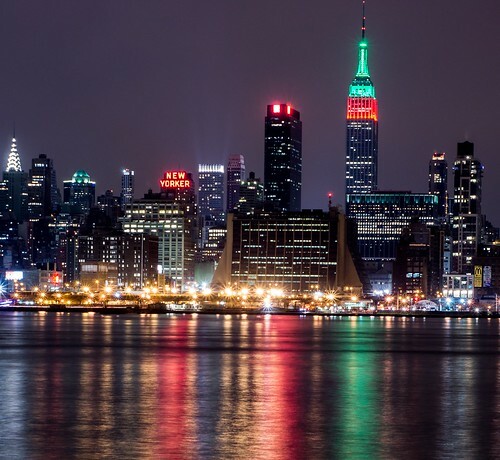 Just an hour or two outside of New York City, you will encounter amazing natural scenery, centuries-old villages, and a mix of high-end stylishness and quaint atmosphere that is unique to this region of New York. Even though the weather is cooler in November and December, many people choose to pack some warm clothes and head out of the city for a holiday-themed weekend on the Hudson. Whether you are looking for a place to spend a long and quiet Thanksgiving weekend with your family or the perfect setting for a holiday-themed celebration, the Hudson has the kind of experiences and atmosphere that will make your time that much more memorable. The Hudson Valley's towns celebrate Thanksgiving with a sense of classic classiness - reveling in tradition while also bringing today's cuisine and and culture into the festivities. Restaurants and resorts serve up a Thursday feast with all the New England specialties, both old and new, and an unbeatable atmosphere. From a hundred dollar, no-expense-spared Thanksgiving Day buffet in Tarrytown to a fully-catered family-oriented sit-down meal like you'd have in your own home (without the hours of prep work, cleaning and cooking) at a private Hudson Valley estate, there are plenty of options for celebrating America's oldest holiday in the most timeless way possible. Another positive aspect about the Hudson Valley is its proximity to New York City. You can experience the famous Macy's Thanksgiving Day Parade, get in the holiday spirit while shopping in Midtown Manhattan and maybe even skate a few laps around the Rockefeller Center ice rink. Then, you could head north to towns like Rhinebeck, Woodstock or Central Valley for a weekend of holiday-themed revelry or a quiet few days of timeless atmosphere and beautiful East Coast nature. The famous town of Sleepy Hollow features events like the retelling of Charles Dickens' Christmas Carol by actors dressed in 19th Century costume. Similar performances take place in Tarrytown, while Rhinebeck offers tours of the classic Victorian-era buildings that give it such a timeless sense of stylishness. With these events, the Valley's proximity to the Big Apple's holiday celebrations, and the warm and welcoming early winter vibe, this is one of the best times of year to host your own special event along the Hudson. Estate Weddings and Events has a number of New York and Hudson Valley estate options, all of which can help you capture that special East Coast holiday atmosphere. For a fully-catered Thanksgiving meal for family and friends or a holiday-themed soiree with just the right mix of warmth and exclusivity, the Rosaline Estate in the historic hamlet of Rhinebeck is an ideal venue. A large colonial style mansion with extensive grounds and a sizable seating area, this is the perfect place for enjoying that timeless feel while also making sure that all your guests are completely comfortable (and deliciously well-fed). Your most-special guests won't have to head back to a hotel after the evening ends because the Rosaline can accommodate ten overnight guests in its luxurious suites. You can book the estate for the entire week and enjoy an extended stay in Rhinebeck, partaking in all the holiday celebrations that this part of the Hudson Valley has to offer. Another Hudson Valley event venue and vacation rental is the Historic Riverbank Estate, which, as its name suggests, sits on the banks of the Hudson. This colonial-era mansion has a huge fireplace and plenty of period décor, so if you are looking for a place to celebrate Thanksgiving or the holidays with your friends and family, this is an ideal estate. It is also possible to rent the estate for the purpose of hosting larger parties of a 100 guests or more. Nearby museums and shopping malls (including the Hudson Valley high-end headliner the Woodbury Premium Outlets) give guests and party attendees plenty of pre and post-event attractions to enjoy. Whether you are looking for a warm and welcoming place to spend Thanksgiving with your family or a large and luxurious estate for a full-scale holiday party that everyone will be talking about until June, you can find the perfect New York estate on our web site. 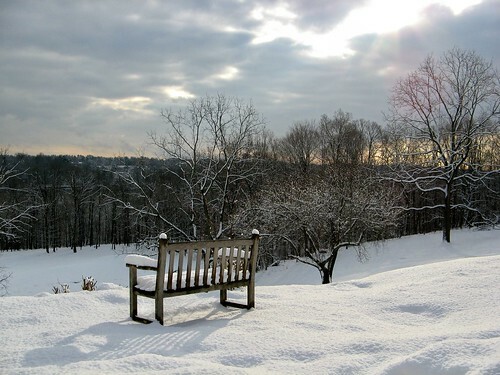 Are you going to be spending time in the Hudson Valley during the holiday season? Where are you going to spend your time? What special events or unique places are you looking forward to experiencing? Let us know in the comments section below.